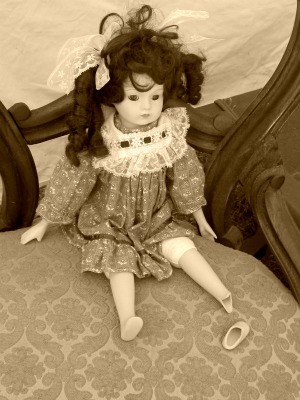 In honour of Halloween, here are a few pictures I took recently at the Atascadero Colony Days. Imagine my surprise when I uploaded these shots to my computer and discovered there were *GHOSTS in them!!! 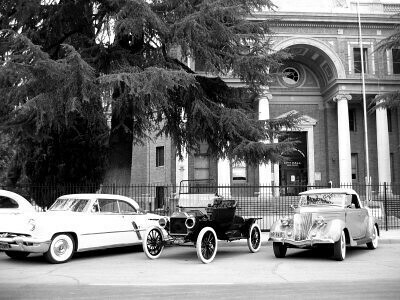 It's like the original residents of Atascadero's Tent City came to visit! 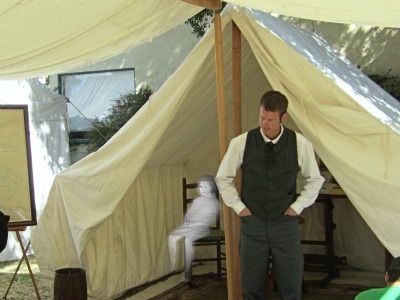 This guy has NO idea there's a ghost sitting in his tent! 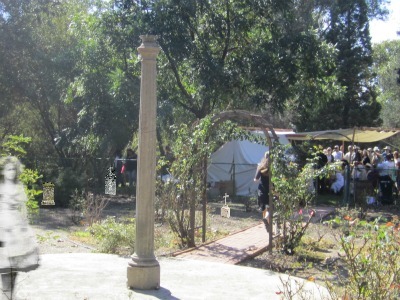 A spectral girl overlooks a ghostly graveyard - now a lovely rose garden - located behind the Atascadero Historical Society house. 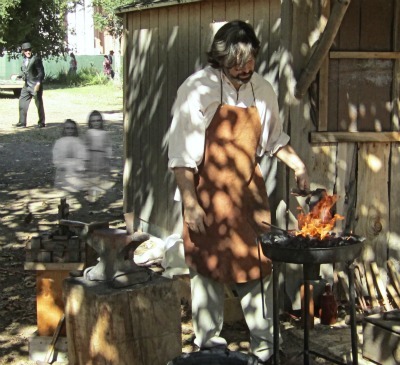 The blacksmith is oblivious to the sister ghosts watching him work, but I think that fellow in the background noticed them! 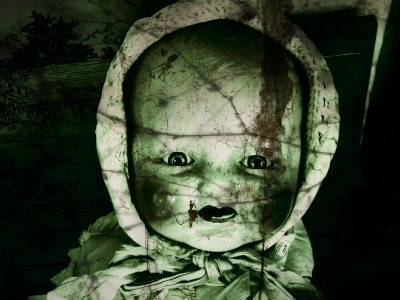 And last, but not least, an innocent child's doll is actually a creepy demonic being!! *Okay the pictures were really enhanced on picnik.com - the most fun you'll ever have with photographs! Landmark, originally uploaded by LapisBlue. 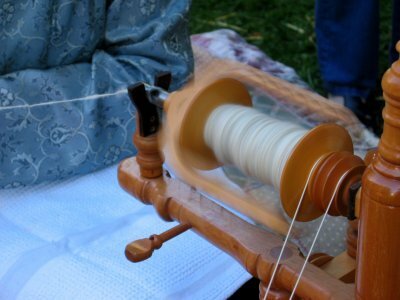 A spinning demonstration at the Atascadero Colony Days.